Guest post by Terry Coggan, a New Zealand Marxist and trade unionist. Part two of a two-part article entitled A Complete Theory of Capitalist Economic Crises? An Appreciation of the Work of Sam Williams. (See Part One here). Does this focus on the central economic role of gold make Williams a gold bug? The gold standard may have gone through a long drawn-out death agony in the middle years of the last century, but surely it has been consigned to history? One of the most useful aspects of William’s work is his debunking of the idea, shared implicitly by some Marxists, that gold had been demonetized. He does this by extensively describing the nature and role of the other two forms of money, token money and credit money, and by showing that the very fact there are economic laws which limit the quantity of both forms of money that can be created is proof that while they can represent the money commodity gold in circulation, neither can replace it. Token money is state-issued paper currency and its electronic equivalent, commercial bank reserves on deposit at the central bank (that’s why it’s legitimate to refer to state “quantitative easing” policies which expand these deposits as “printing money.”) If too many tokens are created they devalue in relation to gold, in other words commodity prices in terms of the depreciated currency rise. Credit money, although it makes up the vast bulk of what economists call “the money supply” and in many countries has almost completed its invasion of retail trade, is in reality only a promise by the banking institutions that issue credit to pay in another more basic form of money, in the first instance token money, but ultimately gold bullion. If an excessive amount of credit is issued in relation to a smaller and smaller base of “hard cash,” a banking crisis will occur, destroying a portion of the credit money. There has been proof enough of this internationally in recent years. The law that a doubling in the quantity of token paper money in relation to the stock of gold money will lead to a doubling of nominal prices has been seemingly contradicted by the fact that in the aftermath of 2007-2009 governments and central banks in many countries indulged in massive “quantitative easing” exercises without unleashing inflation. To explain this, Williams invokes the “all things remaining equal” caveat. In times of crisis things are not equal, and the demand for cash as a means of payment or hoarding has allowed the authorities to get away with running the presses. But Federal Reserve Chair Janet Yellen and her equivalents internationally are aware of the lessons of the 1970s,1 and know they can’t carry on indefinitely with these programmes without undermining trust in the currency and causing a run on the dollar. Hence the recent moves to wind them down. For confirmation of the fact that the laws which apply to metallic money do not apply to paper money, Williams, like Yellen and her colleagues, often returns to the lessons of the 1970s, the experiments in “monetary Keynesianism” then so confidently embarked upon, and their necessary outcome in the “Volcker Shock” at the end of the decade. An increase in the quantity of metallic money relative to commodities, all other things remaining equal, lowers interest rates and sooner or later leads to an expansion of the market. 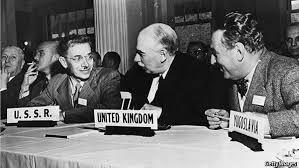 The twentieth century’s most influential bourgeois economist, John Maynard Keynes, represented the declining imperialist power, the United Kingdom, at the 1944 Bretton Woods conference that set up the post World War Two international monetary system. The Keynesian orthodoxy of the time expected that once the role of gold in the international monetary system was eliminated, the same results could achieved by having the monetary authorities expand the quantity of the paper money, and indirectly the credit money created on the basis on the increased supply of monetary tokens. Instead the decade was market by currency depreciation, and rising interest rates, imposed by money capitalists seeking to compensate themselves for the perceived “devaluation risk,” at the same time as they were fleeing into gold. A situation arose where simply hoarding gold was more “profitable” than actually carrying out production, a state of affairs that had it continued would have called into question the viability of the capitalist system. The only way to stop the rot and restore a positive rate of profit in terms of gold was to end the depreciation of the dollar, which the Federal Reserve under Volcker could only do by ending its resistance to rising interest rates, paradoxically allowing them to rise for a time even further, to the point where money capitalists were induced to dump gold in favour of dollar-denominated securities to take advantage of the unprecedentedly high interest rates. Paul Volcker, Federal Reserve Chairman 1979-87, and head of the Economic Recovery Board under President Barack Obama. Williams’ presents an extended critique of not only the doctrines of “monetary Keynesianism,” but also those of “fiscal Keynesianism,” and the work of underconsumptionist Marxists like Paul Sweezy influenced by them. Essentially this involves demonstrating that crises of generalized overproduction occur not just because “workers cannot buy back their product” – the crude version of underconsumption theory – but because “periodically there is a generalized overproduction of commodities relative to the market so that the combined purchasing power of the workers and the capitalists, as well as all possible “third persons,” including the state, is periodically insufficient to purchase the total commodity production at profitable prices.” A consequence of this basic reality is that any move by the state to increase its expenditure, whether financed by current taxes or borrowing, will ultimately prove ineffective, although the degree of efficacy of the move may vary according to the stage of the industrial cycle at which it is undertaken. Williams acknowledges that Marx called the tendency of the average rate of profit to fall the most important law of political economy. So how does the course of the rate of profit fit into Williams’ theory of capitalist crises? The falling rate of profit manifests itself over long periods of time. That is not to say that the tendency of the rate of profit to fall is just background noise. Williams agrees, for instance, that a rise in the organic composition of capital putting downward pressure on the rate of profit was an important factor in bringing to an end “the long boom” following World War Two. But there is not necessarily an immediate link with any particular crisis. 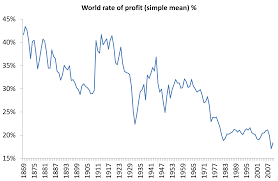 A temporary collapse in the rate and mass of profit as a result of a cyclical crisis, or the losses caused by the fact that capitalists have to subtract from their profits any depreciation of the existing elements of their fixed capital that occurs in the course of a cycle, should not be confused with the permanent fall in the rate of profit caused by the rise in the organic composition of capital. The latter phenomenon is necessarily gradual, manifesting itself over longer periods of time. Although this process has been periodically halted or even reversed by the operation of various combinations of counteracting influences, the net result has been that the rate of profit is now much lower than it was in capitalism’s early days. To compensate themselves, capitalists are forced to increase the mass of profits by carrying out production on a vast scale. That from a technological point of view, and at this stage in history, they are able to do this, brings us back to Williams’ under-scoring, mentioned earlier, of capitalism’s peculiar ability to increase production faster than it can grow markets. It was in this general sense that Marx was talking, according to Williams, when he said that falling profit rates “breed” (“promote” in the Penguin translation) crises of overproduction. “The main problem for Marxist crisis theory,” writes Williams, “is to what extent the collapse in the rate of profit that occurs at the beginning of the crisis is caused by the growing difficulties of producing surplus value versus the increasing difficulties of realizing surplus value.” He is in no doubt that “the cause of the fall or even the complete disappearance of profits as a result of overproduction arises from the fact that the value of commodities cannot be realized in money form.” Or, in other words, capitalist production, represented by the formula M-C…P…C’-M’, breaks down at the last point, C’-M’. Roberts would actually appear to be on the more solid ground. The U.S. Bureau of Labor Studies, for instance, notes in relation to the 2007-2009 slump that consumer spending peaked in the last quarter of 2007, while “private fixed investment” – which includes spending on structures, equipment, and software related to production – peaked in 2006. But perhaps the apparent contradiction between the facts cited by the two authors is resolved if we keep in mind two factors. Williams’ points out firstly that the building of homes belongs in Department II not Department I, and that everybody agrees it was the slump in the housing market which triggered the crisis; and secondly that any crisis of general overproduction of commodities is at the same time a crisis of the overproduction of real capital – the “private fixed investment” referred to by the government statisticians. 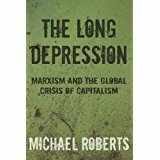 But Williams is in definite agreement with Roberts and his co-thinkers when he describes the role that crises play in restoring capitalist economies to health by administering an increased dose of profit – the only medicine they respond to. Crises raise the rate of profit by allowing capitalists to use unemployment to force the working class to accept a rise in the rate of surplus value, (and if this leads to an increased investment in variable as opposed to constant capital, to a slowing for a period of the rise in the organic composition of capital); and by lowering or destroying the value of the elements of existing capital. Thus crises act as the mechanism for setting in motion the counteracting influences to the tendency of the rate of profit to fall. Short term phenomena become part of the long term evolution of capitalism. The danger for any theorist wanting to discover “long waves” in the curve of capitalist development is that they don’t sufficiently appreciate the impact of accidental or non-cyclical events like wars, revolutions, or major new gold discoveries. That was the essence of Trotsky’s criticism of Krondratiev, one of the original long wavers. Williams is aware of this danger, and tries to reconcile it with his theory, for instance in his description outlined earlier of the influence of the fortuitous gold discoveries in California and Australia in the 1850s, and in South Africa and Alaska in the 1890s. I should add a word of caution about politics. Williams’ voluminous postings are interspersed with political comment. This is no doubt inevitable because as he himself says at one point “as Marxists, we cannot really separate economics from politics.” Yet in some ways I hope this is not true, as some of his political views – which stem in my opinion from a failure to grasp the fundamentally counter-revolutionary nature of Stalinism – might strike some readers as more contentious than his economic ones. But perhaps they can put Williams’ politics aside, at least in the first instance, in order to make use of his valuable contribution to economics. He set out to provide a more complete theory of capitalist economic crises than those previously advanced by demonstrating that not only must surplus value be produced, it must also be realized in the form of real money – “the second act in the process” in Marx’s words. In this he largely succeeds. Bretton Woods I, a gold-exchange standard, was the international monetary system imposed by US imperialism after its victory in World War II, in which the US dollar was established as the international reserve currency, which the US Treasury would convert to gold at a rate of $35 per ounce. All other currencies were fixed in relation to the US dollar. Under Bretton Woods II, a paper-dollar exchange standard which came into effect after 1971, the convertibility of the dollar into gold was ended and a system of floating exchange rates was established. In that case, you have to explain why there has been, as Marx describes, there has been many different money commodities, for example cattle. Any you have to explain why economies have had other precious metals as the money commodity. As Marx describes the term Pound Sterling, historically derives from the wight of a pound of sterling silver, and for a long time, it was silver which acted as the money commodity within the British economy not gold. In fact, Marx makes clear that gold is NOT money as against for example the Money School and the mercantilists. Its only if you understand value theory, and the value form as described by Marx in A Contribution To The Critique of Political Economy, and in Chapter 3 of Capital I, that you can understand that money is merely exchange value incarnate, it is a commodity – any commodity – that is singled out to act as the universal equivalent form of value. But, what is value? It is as Marx sets out labour, and its measure is labour-time. Money is merely a claim to a quantity of social labour-time. That is why all commodities are money,because all commodities have exchange value, all commodities themselves represent a quantity of value, and thereby are a claim to an equal amount of labour-time contained in some other commodity/ies. That is, indeed, how barter systems operate, as Marx sets out in the first three chapters of Capital I, and in A Contribution, prior to the development of money, as trade and exchange goes through the historical process of relative forms of value, through to equivalent forms of value, and eventually to the development of a universal equivalent form of value, that becomes the money commodity. But, Marx also is at pains as against Ricardo, who made this same mistake of confusing gold the commodity, and subsequently money commodity, with gold as money, to demonstrate that gold is NOT money. For one thing, as Marx says in opposition to Ricardo, and his theory of money that led to the 1844 Bank Act, which caused a credit crunch, by trying to limit the currency circulation to the supply of gold, as the Gold Standard does, there is a difference between gold used for jewellery production, and gold used as currency. Secondly, as Marx sets out in A Contribution, in particular, gold used as currency is itself merely a token, because the gold coin only has a nominal amount of value stamped on its face, which remains nominally constant, whilst the actual value of the coin, i.e. its actual gold or silver content, is constantly changing because the value of the metal is changing, and the quantity of metal in the coin is also constantly changing because of wear and tear, because of clipping, and because the minting authorities, change the actual weight of a coin, whilst keeping its nominal value the same. That is why, as Marx shows with a range of coins from different countries, their nominal value, was hundreds of times greater than their actual value. But, even where the value of the metal in the coin remains the same, the value of the coin varies from the value of the metal in the coin, because coins even pure, full weight gold coins, are only token money, as Marx describes. Their actual exchange value depends not on how much gold they contain, but on whether the quantity of such gold tokens in circulation is more or less than the amount of gold required to circulate the value of other commodities. That is precisely what Ricardo, and the advocates of the 1844 Bank Act, and of the Gold Standard cannot get their heads around. Yes, as Marx points out, with gold or silver or copper if the quantity of coins in circulation is more than is required the metal can be withdrawn from circulation, melted down, and sold for its commodity value, or turned into bullion, whereas paper tokens cannot, but that does not happen straight away. Moreover, the situation is quite different when it is a matter of not enough gold coins or other tokens being put into circulation, as a result of a gold standard such as was applied by the 1844 Bank Act. Then the result, as Marx describes, the result is that not enough tokens are in circulation, simply because of the ridiculous notion that they can only be related to the amount of gold reserves in the banks, which then means that the inadequate supply of money tokens – be they as Marx sets out gold coins, or Bank of England banknotes representing those coins – is inadequate to circulate the value of commodities, the notes or coins get hoarded, as people seek to hold on to what has become scarce, because they need it for their own transactions, firms reduce commercial credit given to their customers, raising the demand for currency even further, and so worsening the shortage of currency, and so a full scale credit crunch is set in place, which acts to cause an economic crisis, simply because of the ridiculous notion that the amount of currency in circulation should be related to the amount of gold in bank vaults rather than should be dictated by the amount of currency required to circulate the given mass and value of commodities within the economy. As Marx sets out it was the false Ricardian notion of the gold standard that was the theoretical foundation of the 1844 Bank Act, which led to the monetary crises of 1847, and 1857. The 1847 crisis, caused an economic crisis, in which as Marx sets out, economic activity was reduced by 37%. And, the consequence was that the Act had to be suspended, so that more currency could be put into circulation. Simply lifting the constraints of the Act, was enough to end the hoarding of currency, which then flowed into circulation, and economic activity continued its previous state of prosperity. As Marx says, no Bank legislation can prevent an economic crisis, but bad bank legislation – which is what the 1844 Bank Act, and all such legislation based upon a gold standard which artificially restricts the currency, is – can certainly cause an economic crisis. The idea that gold cannot be replaced as the money commodity, or that economies cannot function on the basis of credit money, or electronic money is merely a form of commodity fetishism, with gold being the fetishised commodity. There is a correspondence here, as there was in the first part of these posts dealing with money, value and exchange with the proposition put forward by Adam Smith, whereby he uses corn as a proxy for the measurement of value. The only difference here is that gold is being used in that way rather than corn. So, a number of things are clear from this statement. Firstly, value and exchange value are two different things, and exchange value is only possible once value exists and has been quantified in relation to the commodities being exchanged. Secondly, the measure of value, the “intrinsic” measure is labour, and the unit of measurement is labour-time. Secondly, the measure of exchange value is money, which is merely an “external measure”. Thirdly, as I stated in previous comments it is impossible to determine exchange value, and to thereby measure it as money prices unless ” that value is already determined”, i.e. unless the “intrinsic” value of commodities is already determined, and equally the intrinsic value of the money commodity. There are many more problems with Sam Williams theory of crisis, which I do not have time to deal with at the moment, but which I have covered in passing in my book “Marx and Engels’ Theories of Crisis”. “In fact, the only commodity that cannot be overproduced is money itself. Explanations of crisis which seek to locate the over supply of money, be it real money, fiat money, or credit money, as a cause, are wide of the mark. Marx and Engels identify the role of credit as both a means of preventing and delaying crises, but also for similar reasons, of exacerbating them. But, to exacerbate a crisis, by definition is not to cause it. The neo-Austrian School theory of the “Crack Up Boom”, is lifted almost entirely from Marx’s analysis of the role of credit. But, in their hands, it has become the cause of crises. That fits neatly with their ideological stance. The market would clear were it not for outside influence by the state or monopolist powers. The state facilitates the creation of credit, the banks produce masses of credit-money, which causes asset price bubbles and malinvestment. The bubble bursts and the economy is sent into crisis. Thanks for this good summary of Sam Williams’s interesting views about Marx’s theory of money. I think it’s fair to say that many Marxian economists do not agree with him that Marx’s theory of money requires money to be a commodity. For example, in his introduction to the 2005 book “Marx’s Theory of Money – Modern Appraisals”, Fred Moseley writes: “The most important conclusion is that most of the authors agree, with varying degrees of certainty and for different reasons, that money does not have to be a commodity in Marx’s theory, even in the fundamental function of measure of value (even though Marx himself may have thought that money as measure of value does have to be a commodity).” (p. 14). Moseley adds that Claus “Germer is the strongest proponent of the opposing view that money as a measure of value has to be a commodity in Marx’s theory.” Germer contributed the article “The Commodity Nature of Money in Marx’s Theory” to the book edited by Moseley. Thank you for your pointer to the Moseley book, and for the link to the article by Claus Germer. Germer’s views seems to be close to those of Sam Williams. You put your finger on the key question – does Marx’s theory of money require money to be a commodity – and are right when you say that many Marxian economists don’t agree with Williams’ position that it must be. I find Williams’ critique of these economists, including those who use concepts like MELT (monetary expression of labour time), convincing. Capitalists appear to be more decided on this question than our Marxian economists. They still “vote with their feet” in times of crisis or uncertainty by running into gold. Thanks for your response. In his article “Credit money and the functions of money in capitalism” Claus Germer writes: “it seems accurate to say that the commodity nature of money is an inevitable consequence of the labor theory of value, as laid out by [Marx], and expresses the necessary connection between labor and prices, or between labor and wealth in general, and consequently between labor and surplus labor, and represents the necessary basis of the explanation of the process of exploitation of labor power. If this interpretation is accurate, it follows that the theoretical rejection of the commodity nature of money breaks up the mentioned connection and breaks up Marx’s theory of value. This being so, it seems clear that the commodity nature of money can only be objected, in the realm of the labor theory of value, if an alternative theory about the connection between labor and wealth is presented. The essential flaw in the objections to the commodity-money theory, in the Marxist field, is that they reject the commodity nature of money, under the implicit assumption that it can be done at the same time as the validity of Marx’s theory of value is maintained. This assumption, however, seems to be inconsistent.” (p. 9) This indeed seems similar to Sam Williams’s arguments, as presented in his blog. Claus Germer and Sam Williams both seem to be saying that Marx’s economic concepts and economic theory form an interrelated and consistent logical system, a whole, and one cannot simply remove one element (the commodity nature of money) of this system without the whole thing breaking down and becoming inconsistent. I’m not sufficiently familiar with the alternatives proposed by various Marxian economists to Marx’s theory of commodity money to be able to say if any of them succeed in overcoming this logical difficulty. In his introduction to the book “Marx’s Theory of Money – Modern Appraisals”, Fred Moseley writes: “Unfortunately, none of the authors in this book who accept that money as measure of value does not have to be a commodity has presented an explanation of how the value of money or the MELT is determined in the case of pure noncommodity money.” (p. 15). At the very least, looking at the issues from this point of view allows us to situate Sam Williams’s work and ideas better within what one might call the field of current Marxist economic theorists. As Anwar Shaikh comments in one interview, Marxist economics is very fragmented today (he was commenting on Yanis Varoufakis’s self-description as an “errant Marxist”). In his book “Economic Crisis and Crisis Theory”, Paul Mattick writes about the “endeavor to reconcile, at least to some extent, the historical antagonism between Marxism and bourgeois economic theory” (p. viii) which he said leads to increasing theoretical eclecticism. Mattick contrasts this eclecticism with what he calls “undiluted” Marxist theory. This is reminiscent of Sam Williams’s term “Keynesian Marxist” to refer to efforts to reconcile Marx with theorists such as Keynes and Kalecki (for example, the Monthly Review School). From this point of view, Sam Williams and Claus Germer represent current efforts at “undiluted” Marxist economic theory. In Theories of Surplus Value, Chapter 17, Marx says that whilst money may take the form of a money commodity, such as gold, silver or copper, money itself is not a commodity it is by definition the general commodity, i.e. the representative of all other commodities. And that is consistent with what he says in Capital I, Chapter 3 where he sets out that any commodity such as gold, in so far as it acts as the money commodity, itself thereby gives up its own use value, in order to be the representative of all use values. The only use value it has, as money, is to be exchange value. That was a concept that Ricardo could not understand, which is why he continually confuses gold as money (not a commodity) with gold as commodity. And, its precisely because money, for Marx is not a commodity that Say’s Law falls apart, because it is based upon the idea that producers produce commodities either for their own use value, or to obtain the use value of those commodities they obtain in exchange for them. For the bourgeois economists money is just another commodity that is exchanged for these commodities. But, of course, it is not, precisely because it is the general commodity, and because it is not desired for its use value that can be consumed, in the way an apple is consumed, or indeed in the way gold is consumed in the production of a piece of jewellery, but is only sought in exchange for other commodities for its exchange value. That means that having acquired this exchange value, its possessor has no need either to consume it, and thereby to need to replace it, or to exchange if for some other commodity. They can simply hoard it. It is precisely this separation of production and consumption of purchase and sale which money introduces into commodity production and exchange, as compared with barter, which creates the potential of crises, which becomes realised under industrial capitalism. Of course, Eugen Varga (who died in 1964, and gained notoriety in the pre-World War I period by debating the origins of inflation in the Austro-Hungarian Empire with Otto Bauer) and Karl Kautsky were writing in the historical period before the Nixon Shock in 1971, when the United States ended the international convertibility of the U.S. dollar to gold, which led within a couple of years to the current system of freely floating fiat currencies. This change of currency regime means that theorists like Sam Williams must present arguments for why gold has not been demonetized. Further comments/suggestions are welcome (and I acknowledge Sam Williams’ blog as a source of inspiration to me). Elsewhere (on Williams’ blog) I already disagreed with Boffy’s claim that credit money can fulfil money’s function of hoarding.